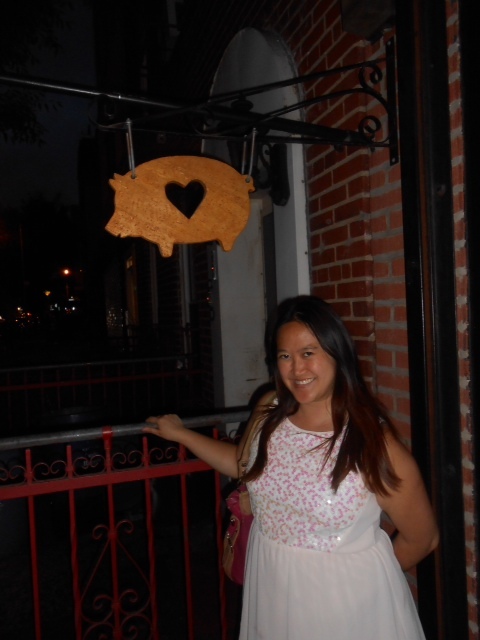 I had heard a lot about the restaurant Traif, in Brooklyn and finally had the chance to experience it with a friend the other day. It didn’t disappoint. It was explained to us by the waitress the items on the menu are small bites meant to be shared so we chose a few items. I started off by getting a drink: Pomegranate juice, which was full of pure pomegranate flavor and not too sweet. 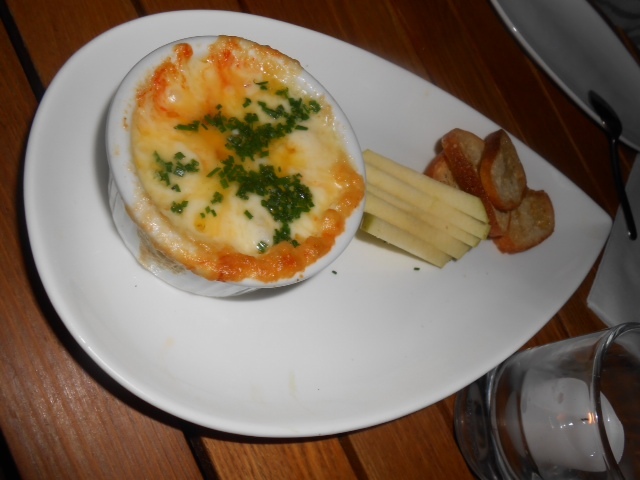 Our first dish was baked Muenster cheese with smoked chorizo and green apple, as well as crostini to dip. The cheese was warm and extremely delicious, along with the chorizo at the bottom. It paired perfectly with the apple and bread. We were even given more bread to finish the rest of the cheese. 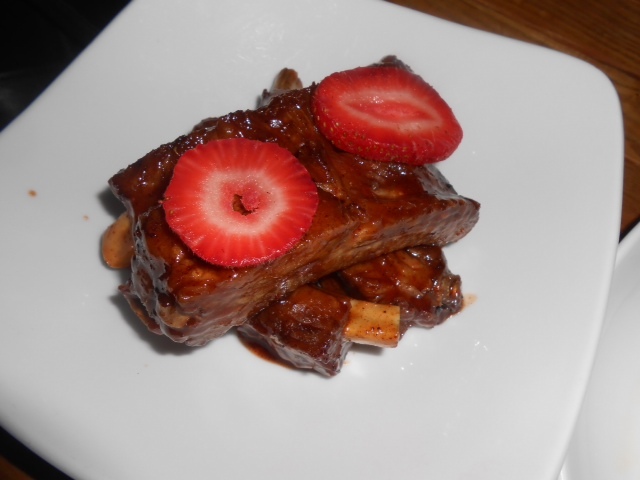 Next came the strawberry-cinnamon glazed baby back ribs, which were as delicious as it sounds. The ribs were coated with just the right amount of seasoning and sauce, and we could really taste the cinnamon spice. The meat came off the bone easily and tasted tender, hearty and a mix of savory and sweet. 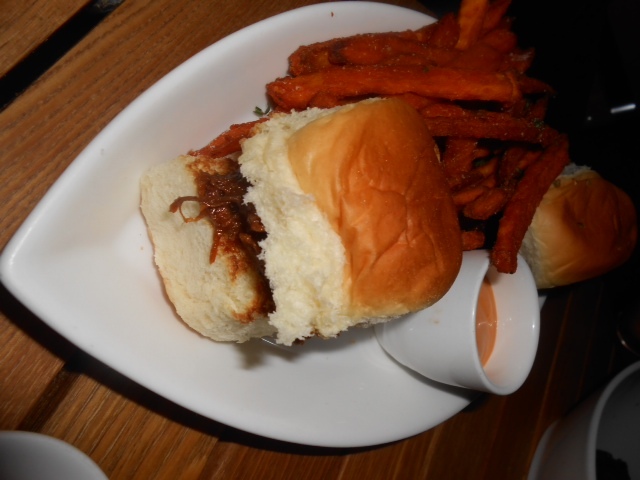 After that was the BBQ braised short rib sliders with smoked paprika aioli and sweet potato fries. The short rib was incredibly juicy and had a burst of mouthwatering BBQ flavor. And the sweet potato fries were perfectly crispy, crunchy, and delightful. Some of the best I’ve tasted! Last was the broccoli rabe, which we thought would be a good, healthy choice but it came smothered in aged asiago, portobello truffle toast and fried egg. 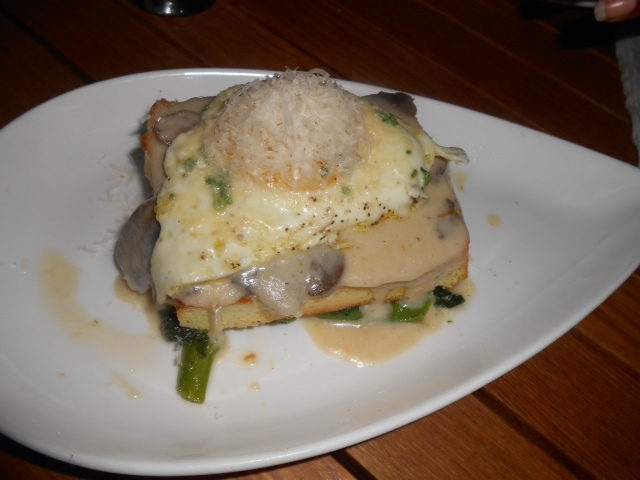 Each component tasted great on its own but combining the strong flavors of sauteed broccoli rabe, mushroom, cheese and egg is what made it a wonderful masterpiece. 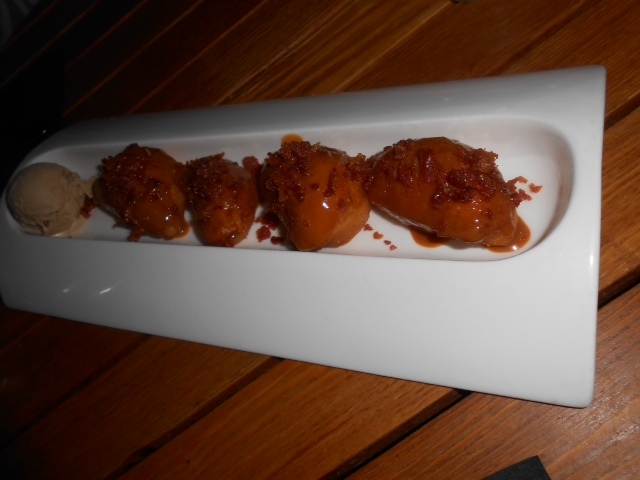 The dessert was maple bacon mini donuts with coffee ice cream and this was amazing! Warm doughy, sweet, chewy donuts, glazed with caramel and sprinkled with bacon bits– What could be better? And the ice cream was very yummy, with authentic flavor of milky coffee. 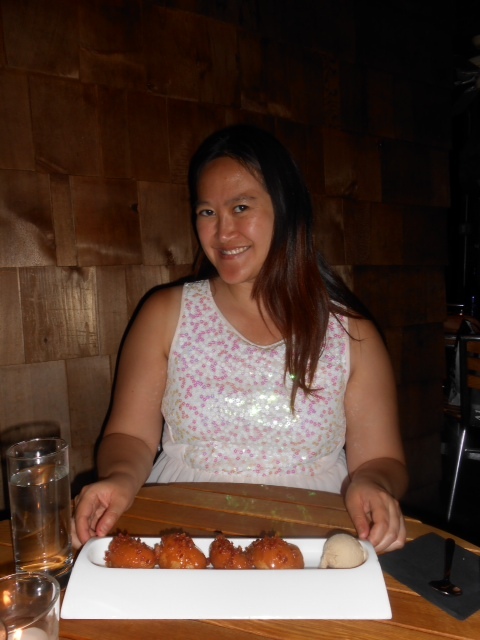 The meal at Traif, from start to finish, was exquisitely decadent, delectable and delicious! The service was spot on and attentive. I would go back again in a heartbeat to try other menu items.